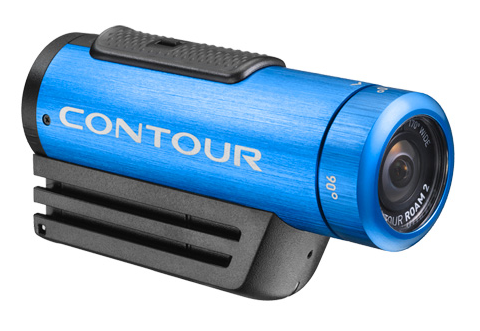 Join the rapidly increasing number cyclists who both protect and educate themselves on the roads with the Contour Roam 2, an excellent quality, robust and easy to use high definition video camera. Other cameras are available, but my experience is that cheaper ones tend to be unreliable; you can also pay more, to enjoy extra features – but none of them are essential for cycling and the price jump can be huge. you can watch back footage of yourself to learn from mistakes, such as riding too close to the kerb or failing to take a strong enough line through a pinch point. 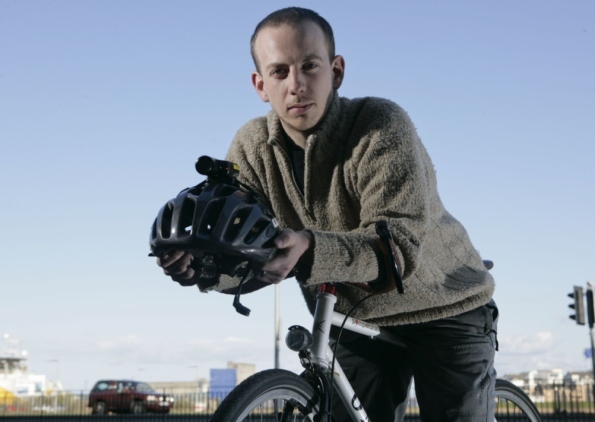 It keeps you calm and relaxed when riding – although it won’t directly block physical injury, knowing you’re recording may give you the confidence needed to interact assertively (and thus safely) with other road users. Why the Contour Roam 2? There are bargain camera options available for under £100, but my experience is very much that you get what you pay for. 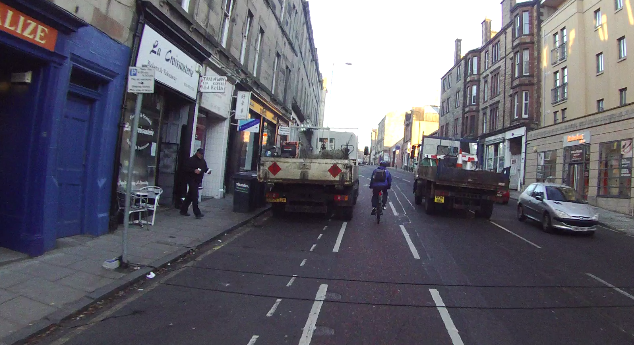 Cheap cameras tend to be flimsy; to attach badly to your helmet or bike; to cut out unexpectedly (usually when knocked – so at the worst possible moment). They often fail to hold a charge, while controls leave much to be desired and there is no easy way to get the camera status without plugging it into your PC. Some aren’t even waterproof! Can you tell I’ve tried a few? Good money after bad! In contrast, the Contour Roam 2 will keep working when dropped; it is waterproof without a case and has a very secure method of attachment. The battery, although integral, has enough charge for plenty of riding and there are multiple status LEDs to help you with the camera in the street. Key adjustments such as the 270 degree rotational lens (with laser marker to help get it straight) are worlds ahead of fixed lens cameras where you have to spend ages fiddling with a mount before riding. Obviously, don’t try that at home 😉 A demonstration under controlled circumstances by an expert is not the same as best practice for every day riding! The Contour Roam 2 records either in 720p or 1080p full high definition. Quality is great for such a small camera – easily enough for evidence purposes, but also good enough for broadcast in some circumstances. Other than that, a switch from 30FPS to 60FPS (when shooting 720p) is the only option you’re likely to worry about (setting these can’t be done on the road, but it is straightforward indoors). Out on the road you just move the chunky sliding button on the camera forward and it starts recording immediately – do the reverse and it stops. There’s an “instant on” That’s more or less it – enjoy great footage! The Roam 2 connects with a standard USB cable and this both charges the battery and mounts the memory card for easy access from your computer. Files are pretty big: going on for 1GB per 10 mins, so you will want a large SD card and you won’t want to keep old footage hanging around for too long! The Roam might seem expensive, but it’s not so much compared with the cost of replacing your bike (or your teeth!) after a hit and run or contested insurance claim. Even better if this up front investment allows you to improve your cycling enough to anticipate or deter a collision from happening in the first place! 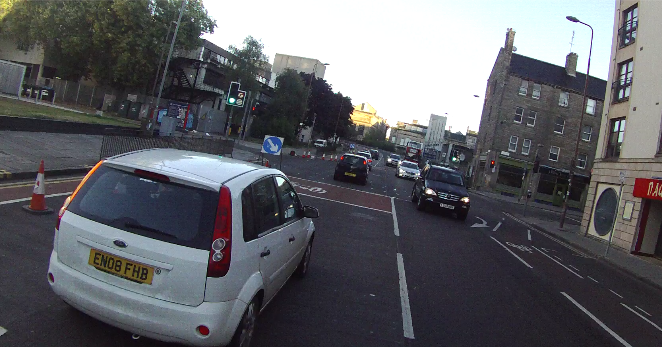 Use of these cameras for ‘crowdsourcing’ evidence to use in campaigns against local authorities and politicians (as with the QBC video above) is still in its nascency, but it’s only going to get more and more common. I highly recommend you get yours here – Wiggle do free delivery but also free no-quibble returns, so even if it’s not for you… it’s not the end of the world. I seriously doubt you’ll regret it though. If I see correctly from the picture you use the Contour Vented Helmet Mount. Could you also put it on the bike frame? You might be able to but I’m not sure it would work that well – it’s basically a figure of 8 with the mount at the centre, so it really tensions between two bars or vents (it wouldn’t wrap around a single tube like a handlebar I don’t think). Flex strap mount is the one you want I think. you say the battery is good for ‘plenty of riding’? The specs say max 3.5 hours (which is pretty good) – so you can only ride about 80km? Less if you stop a bit or you don’t get the full 3.5 hours. I would not call that plenty of riding – I would call that a medium length ride. The problem is that the battery is internal – if you could swap the battery for another one, this would fix the short battery life problem. This is a killer for me – I often do rides 80+ km. I have just bought a Bullet Pro 2 camera – the website said it had 5 hours of battery life – and it came with two batteries. Great stuff!!! Unfortunately the website was wrong – the battery life is only about 115 min (as per the manual – but it is actually a lot less, I think). Also the audio on the Bullet Pro 2 is useless. No good at all. Video is ok though. So I am in the market for another camera – might go a bit more up market this time. As you say, you get what you pay for! Sorry, I probably should have been more specific. 3.5 hours each way is a huge commute (leave the house at 5am and return at 8:30pm) but as you say, if you wanted to record a leisure ride it wouldn’t be so good. The more upmarket Contour models have interchangeable batteries, but to be honest I just wouldn’t ride for long pleasure or training purposes somewhere that I felt needed to be recorded, so I guess our intended uses are different. Thanks for the comment and the extra info! I’d recommend the new HERO4 as a budget option over the ROAM 2, but all in all it’s not a bad little action cam. I agree with Dave: shell out the cash you need for a quality action cam, don’t underspend (<$100) or you'll be taking your new purchase in for repairs soon enough!